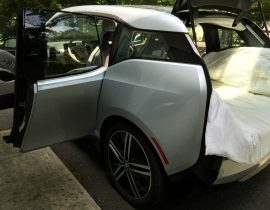 My BMW i3 Turns Two. 3rd May 2016 – This date means that I have had my BMW i3 for two years. Time flies and it doesn’t feel like two years already, the car still looks like new and it still smells like new. How has it held up? Consumer Reports recently downgraded the 2014 Model Year BMW i3 due to a high number of reports of problems. 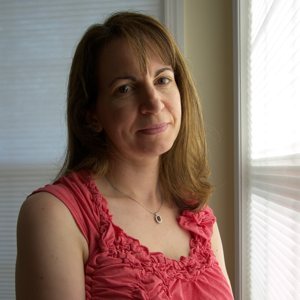 Here’s my punch list of events, statistics and even upgrades. 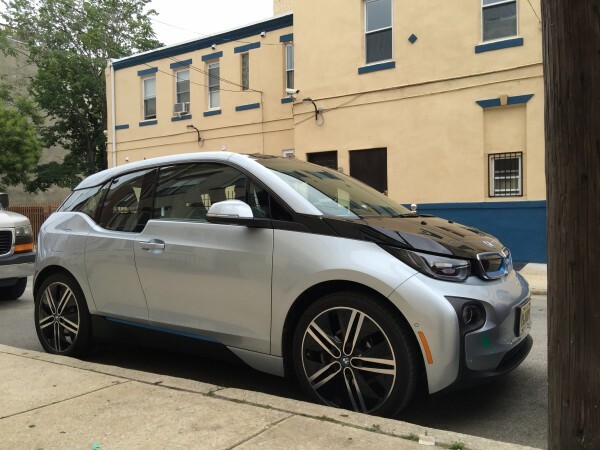 Reliability – Going straight to the question of reliability, the one that’s seen the i3 downgraded by Consumer Reports. We have had no Electric Car problems with the i3 at all, the only problems we have had are BMW ‘car’ related issues. Those would be the gerbils running around their wheel which creates a squeaky steering wheel in the cold weather, the Adaptive Cruise Control that only works when it feels like it and the self parking that may just scrape your wheels! So, I guess it’s fair to say that it’s not been the most reliable car we’ve had – less so even than the experimental ActiveE and MINI E that came before it but, to be fair, those didn’t have two of the three features that have caused problems. Would I downgrade the car for these issues? Maybe, but I wouldn’t tell you not to buy one. Changes to the i3 – We wanted to make the car ours so, the first thing we did was to add the stickers from the ActiveE – the ‘Circuit’ graphics. More recently, we put on lowering springs and wheel spacers to give the car a more aggressive stance. These have all made such a huge difference to the car and definitely make the car look so much better. Tyres – We are still on the original tyres. We have the tyre version that comes with the wub wub noise – it hasn’t gone away. It’s just always there – a constant reminder. It does kind of spoil what would otherwise be a really quiet Electric Car. Wheels – Loving the 20” wheels and tyres. They give the best ride and handling. I wouldn’t trade them for anything else, except maybe some fatter tyres – maybe! 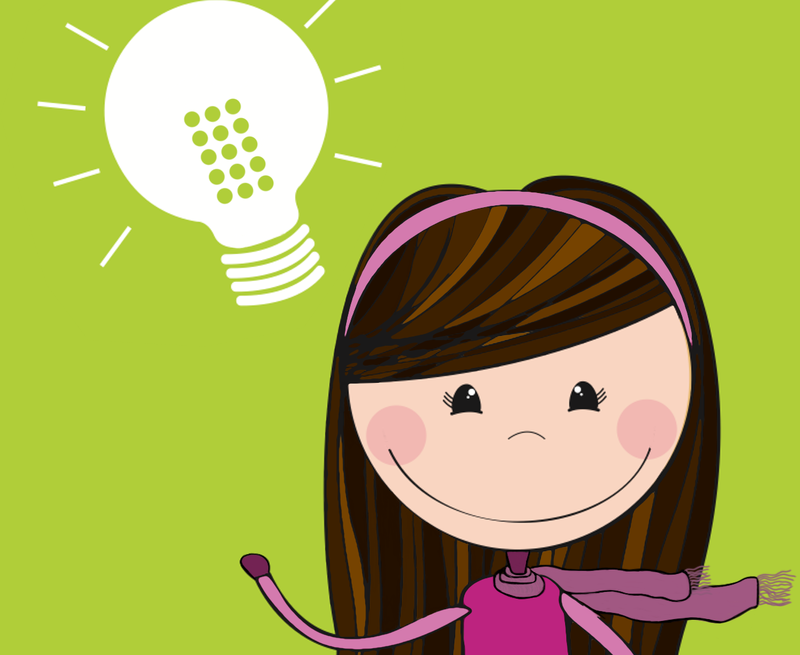 DC Fast Charge – That would be the grand total of, wait for it… “One” and it worked! Now we can say that we have tried it and it was successful in charging the car. 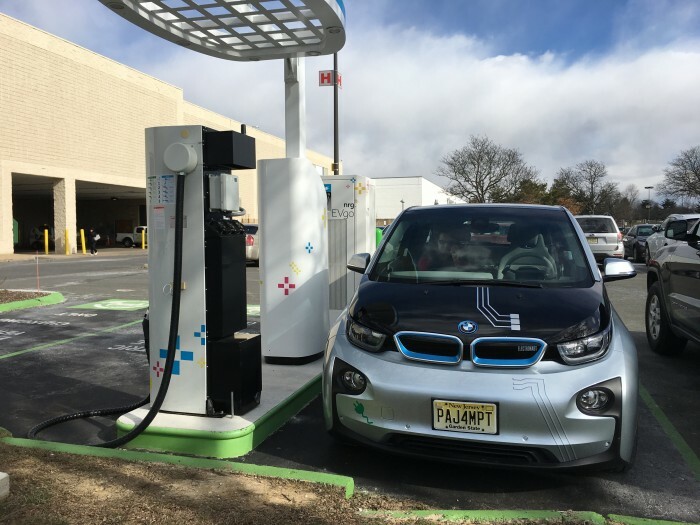 We are still waiting for more DC Fast Chargers to show up on the East Coast so we can take some road trips that take us beyond NJ! In fact it would be nice just to get to the other end of NJ! Efficiency – miles/kWh – My i3 seems to have settled at 5.1 miles/kWh over the last year of driving. I’m rather impressed with that number. The highest I have had is 5.8 miles/kWh which held all through the summer last year and slowly started to drop once into the colder winter months. But it has never dropped below 5.1 miles/kWh – that’s about 200Wh/mile. That number makes this the most efficient car we’ve owned, we put that down to the skinny wheels, the heat-pump system and of course, the way I drive! 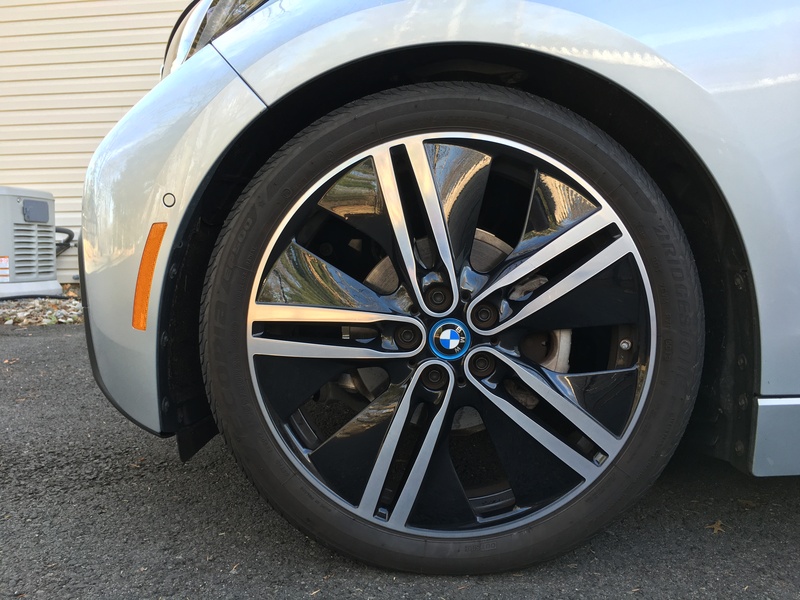 Clean – The i3 has had more washes than I can continue to count. I really do not like driving a dirty car. There are, however, too many nooks and crannies to dry after washing the car. It seems to store water in all sorts of places, only for the water to come flying out when I next drive – most frustrating. The interior is holding up well. I have the Mega interior and it still looks like new. Photos – It is a very well photographed car – well, it does look rather good if I say so myself. I have no idea how many people have taken a photo of the car over the last two years. Service – My i3 is due for its first service or so it keeps telling me, well it is showing in red now so I think it is cross with me for not booking it in yet! I am going to book it in but I am slightly reluctant to do so as the car is working just fine and dealer trips don’t rank highly on my fun things to-do list. 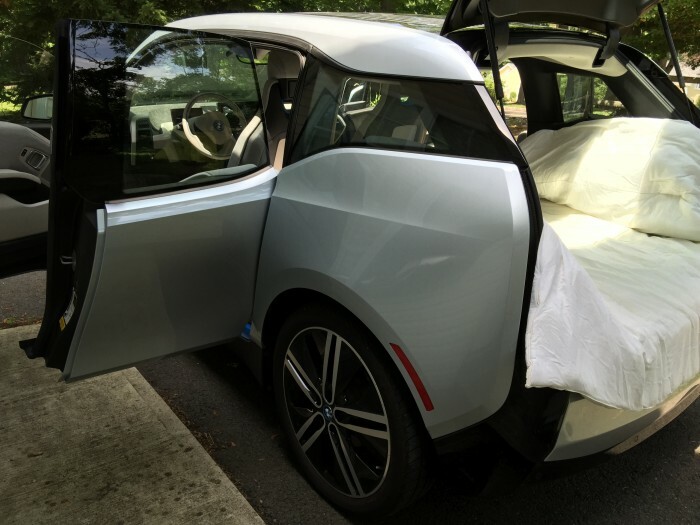 Living – Living with the i3 is easy, access to the rear is sufficient to allow for some ‘oversized’ loads and access to the rear seats is certainly better than a two-door car though, it’s not quite as easy as a true four-door. That said, the doors are an interesting talking point and fun to have. On the road – On the road manners remain impeccable. The ride is firm (firmer now) and for day to day maneuvers, visibility is good, the rear-view camera is effective at guiding you into tight spots and the perimeter sensors do their job well in full quadraphonic sound. I find the seatbelt could use a re-think – the buckle is always just out of reach and, after two years I’m still just starting to get the hang of the forward/backwards switch on the steering column. Happy – I’m still enjoying driving the i3 and we have another year left on the lease and that feels about right for me. I’ll be ready for something else by then, what will the i3 look like in 2017? Having initially not wanted the i3, I’d be a fool to make predictions today! I’m interested in seeing if BMW will come out with a 200 mile range EV, not just the 114 mile one they currently have as their next offering. After all I have had 118 miles on my i3! Lets’s watch and see what happens. Tesla have their 200 mile range lower cost EV announced with an awful lot of reservations placed, so it will be interesting to see what the other manufacturers do now. Wub, Wub, Where Are You Now?